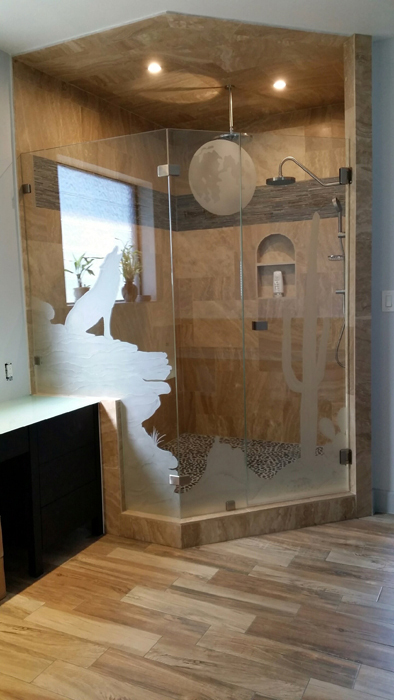 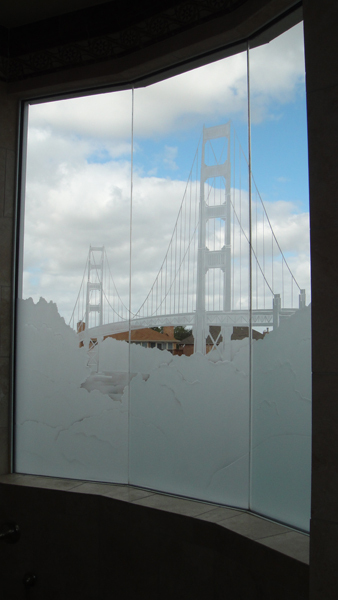 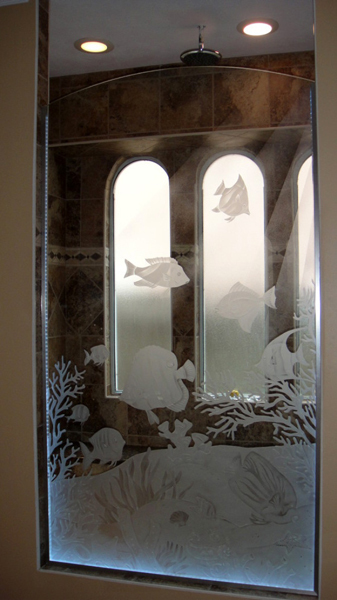 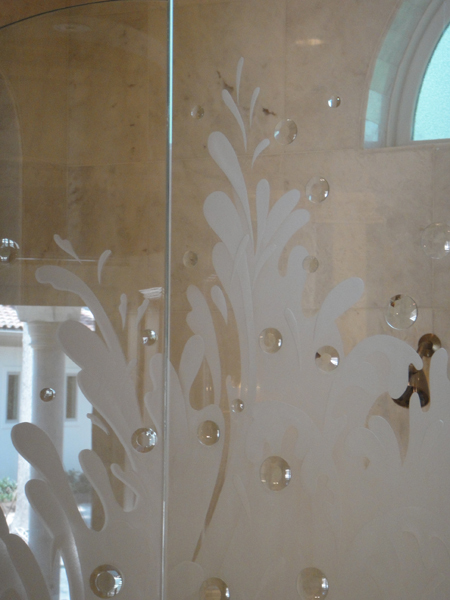 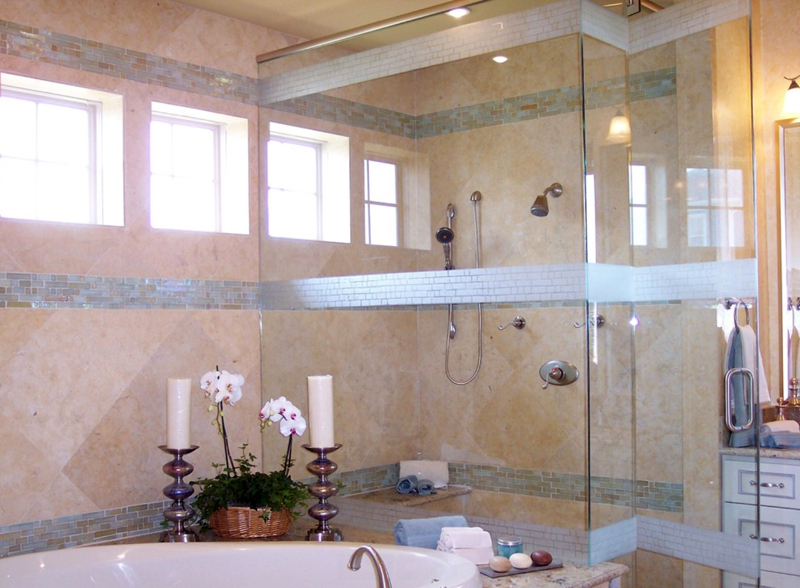 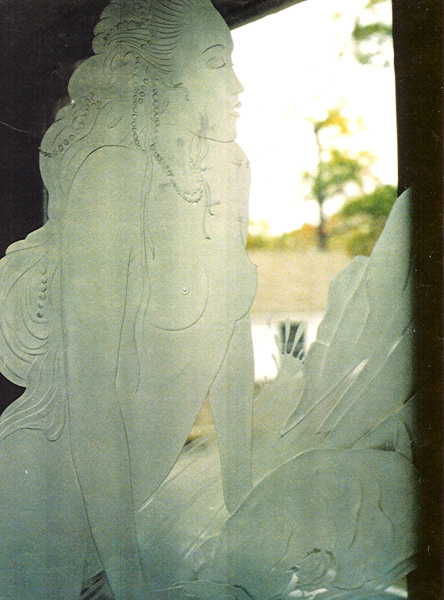 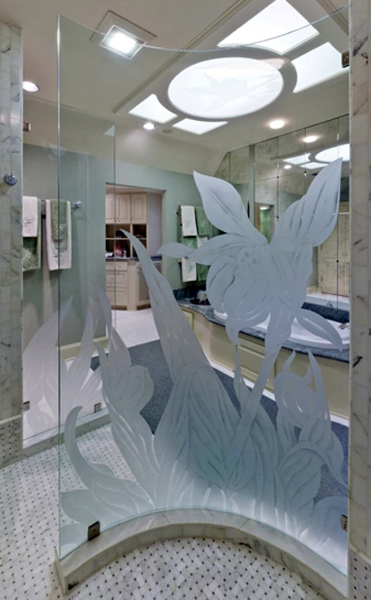 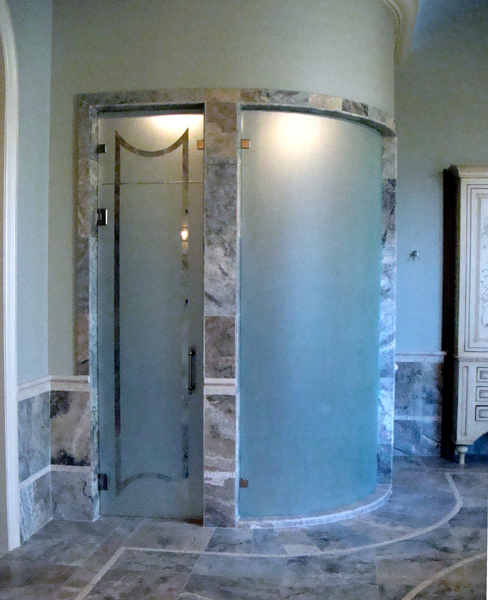 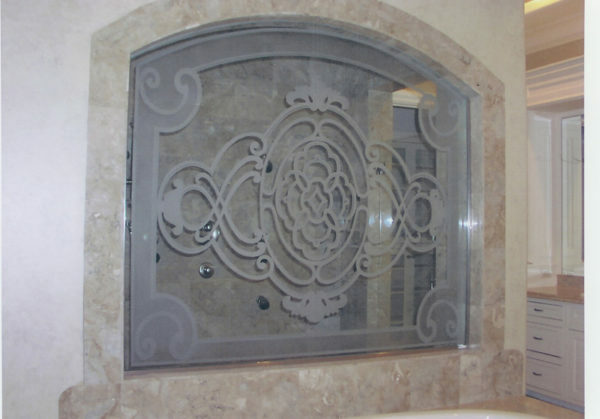 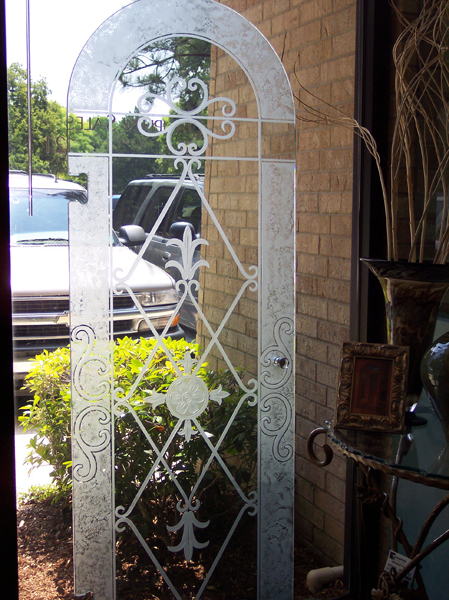 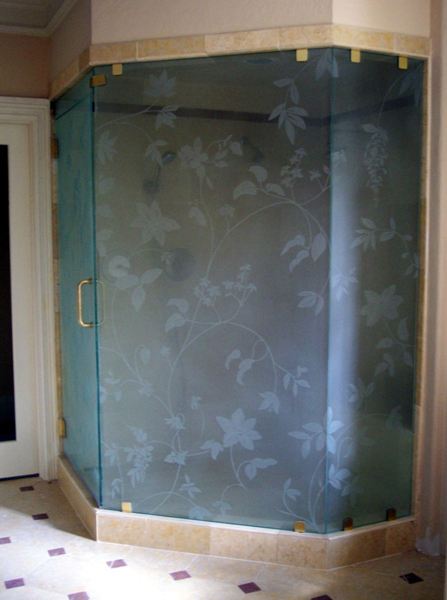 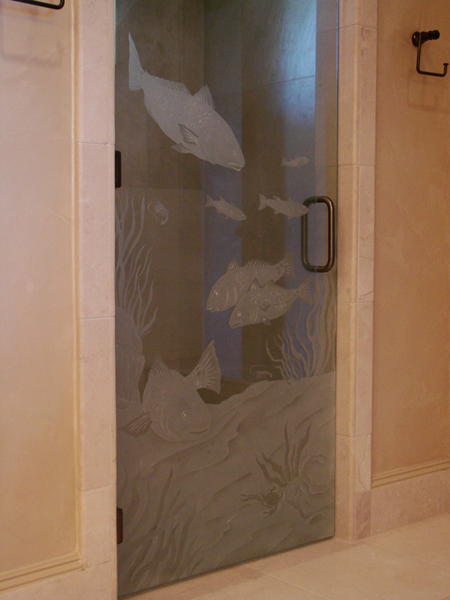 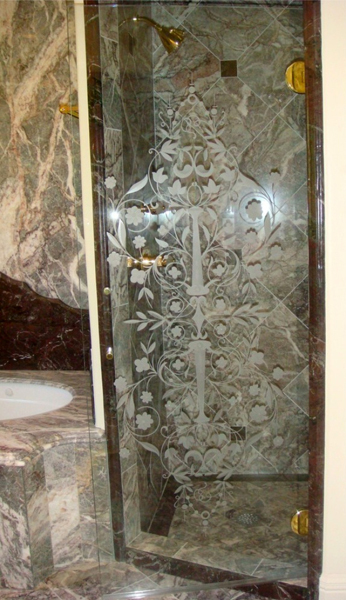 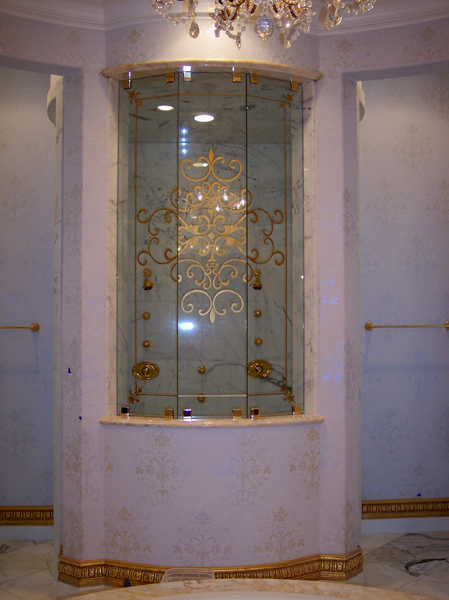 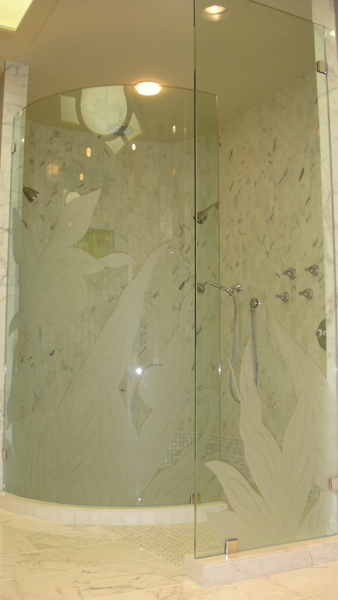 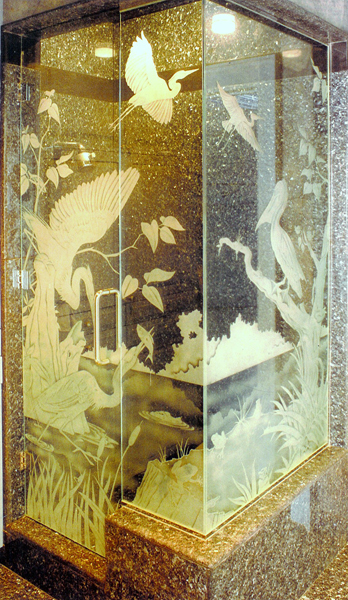 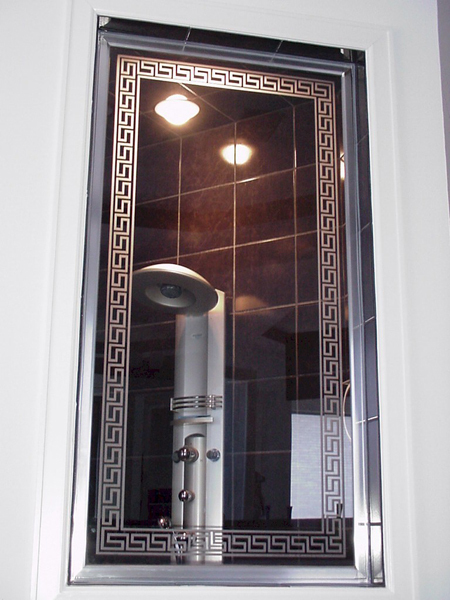 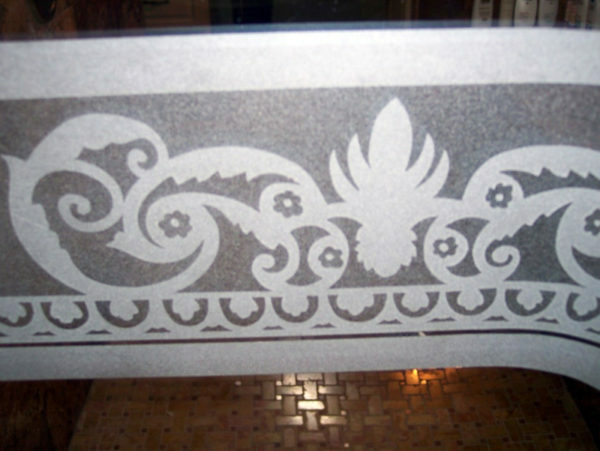 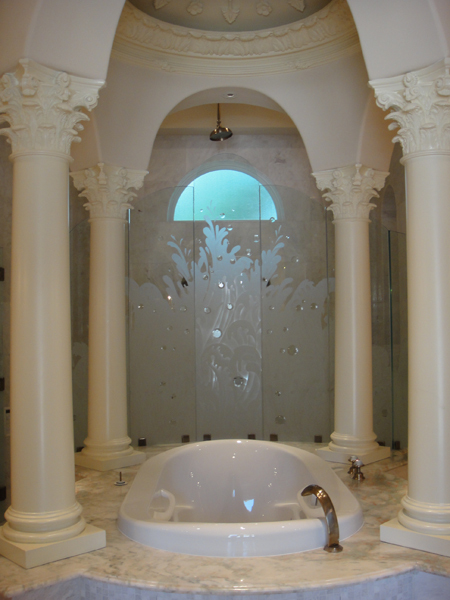 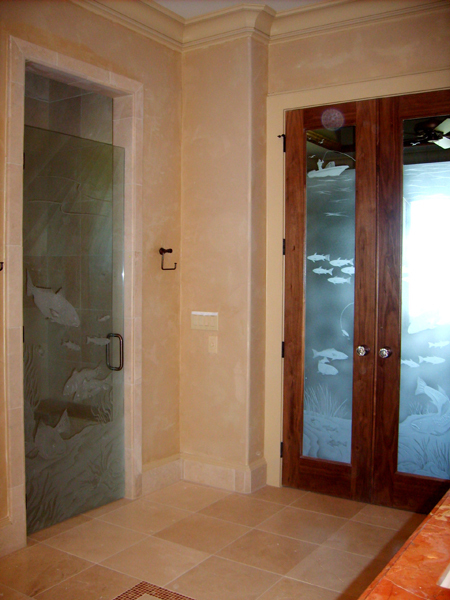 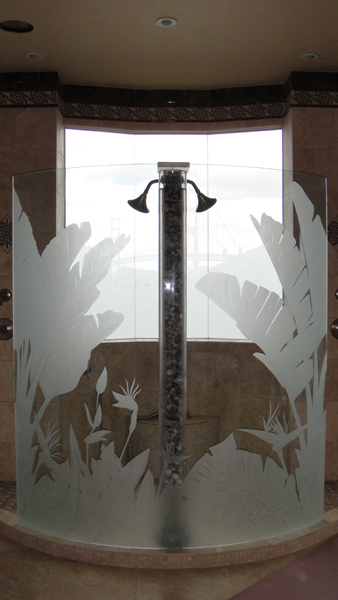 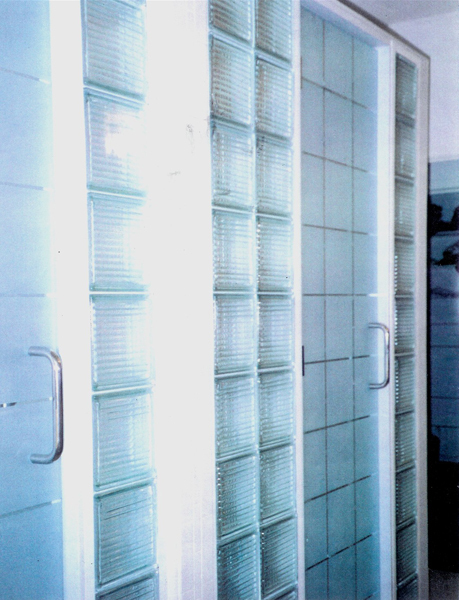 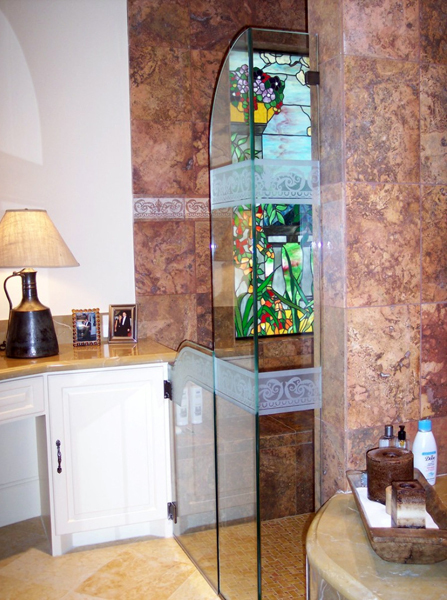 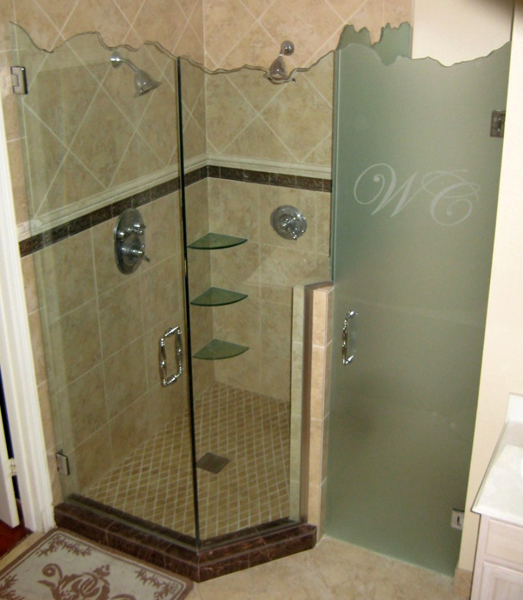 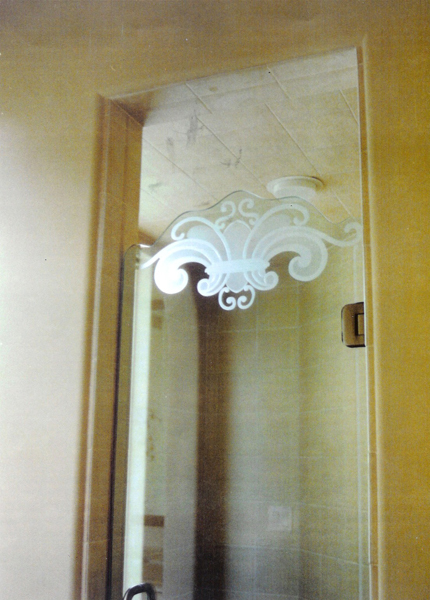 Showers – S.Bumbera Glass Etching, Glass Etching, Custom Glass, Commercial Glass Etching | We are the leading provider of glass etching, call us today for more information. 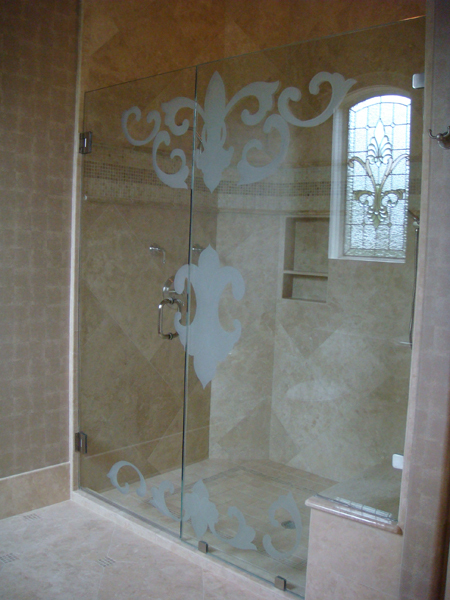 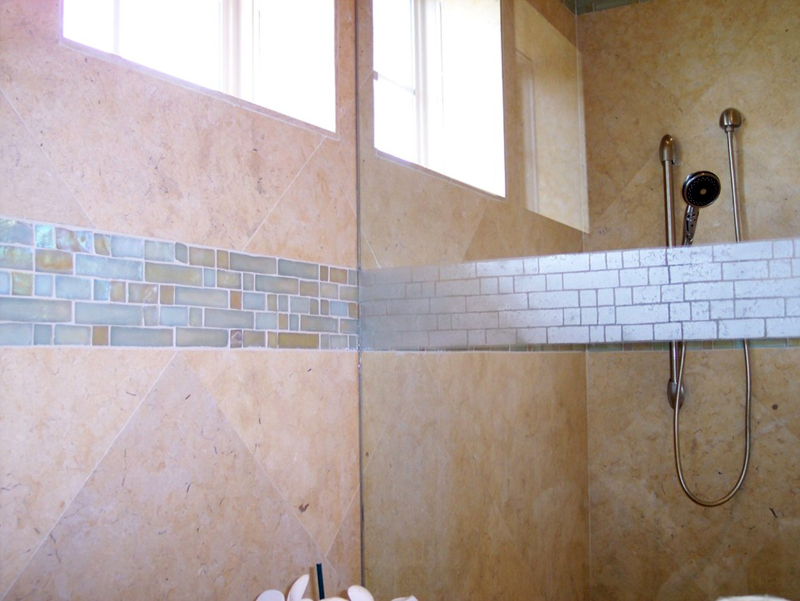 When we etch on Showers we work with the homeowner, designer or builder to create a perfect design to work with both the home & homeowners taste. 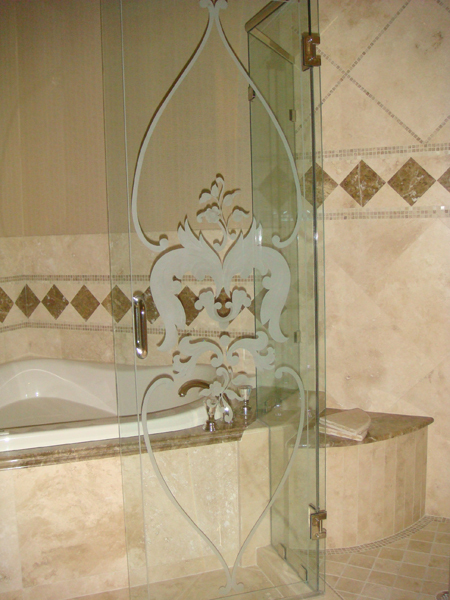 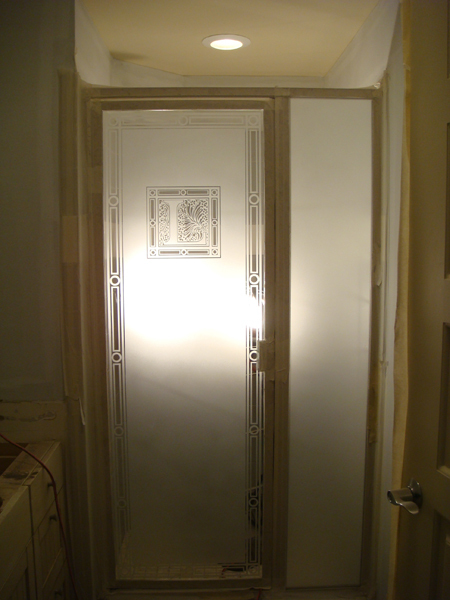 We offer turn-key projects & etch on-site when required. 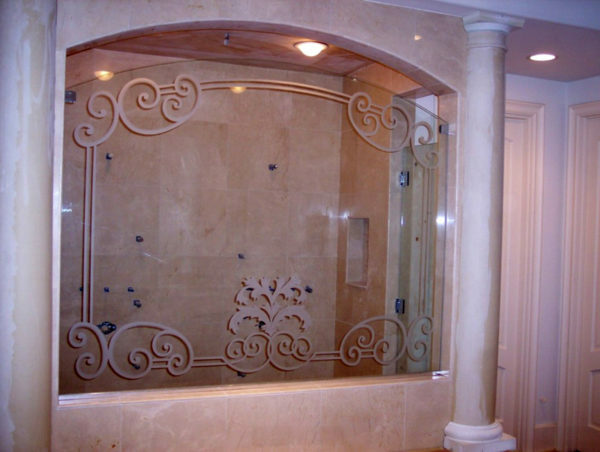 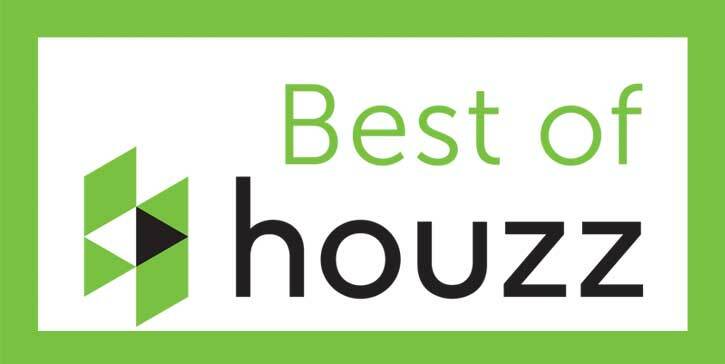 Our work is represented in communities such as River Oaks, Sugarland, Sweet Water, Royal Oaks, The Woodlands, Conroe, Sierra Plantation, The Heights, La Grange, Austin, Colorado, El Campo, Katy, Cinco Ranch, Rosenberg, Richmond and several more.